Metal roofs are fire, mildew, and insect-resistant and are not susceptible to rot. In some cases, metal roofing panels may be applied over an existing roof without the need for demolition or even additional structural support. A staple of the commercial roofing market, metal roofing offers design flexibility and are a great low-maintenance solution that provides high performance and adds to the aesthetics of the building. 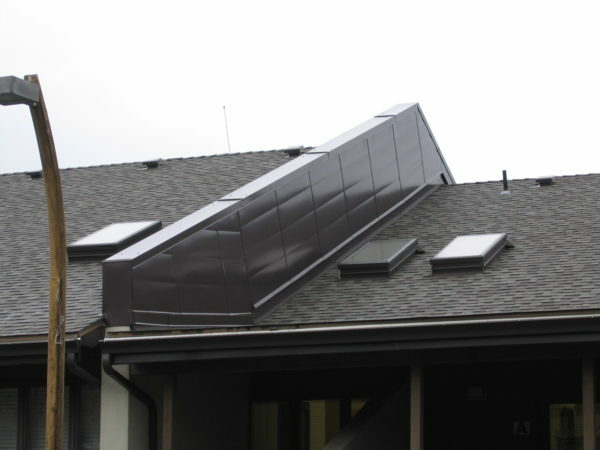 Our on-site sheet metal shop ensures that your metal roof will be of the highest quality. We offer a wide range of colors and gauges to provide you with the ability to customize your design to meet the needs of your specific project.